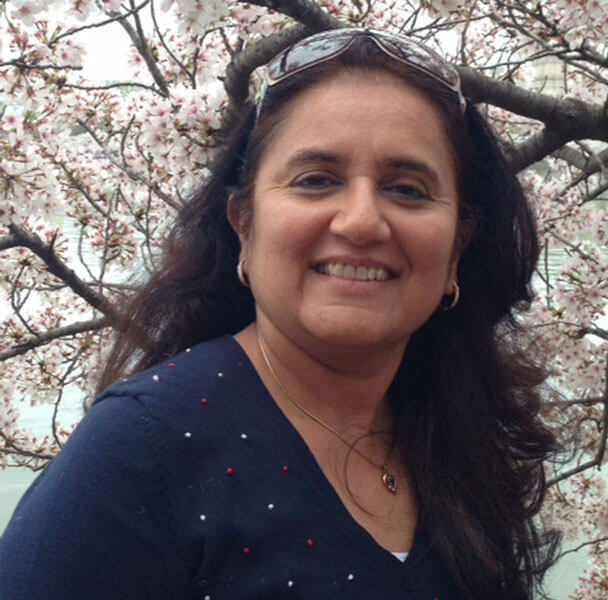 Dr. Meeta Shah grew up in Mumbai, India. She graduated from Government Dental College & Hospital, Mumbai in 1984 and practiced in India until 1990. She graduated with a Doctorate (DDS) from Columbia University School of Dental and Oral Surgery in 1995. She has been practicing in Bridgewater since 2005. Dr. Shah enjoys dentistry and takes care of each individual with the same thoroughness and compassion as she would take care of a family member. To her, it’s not just doing dentistry, but establishing a relationship, understanding the needs of each individual patient. Providing comprehensive care and creating beautiful healthy smiles is her goal. In her spare time, Dr. Shah learns Indian classical music, loves traveling, walking nature trails and enjoys watching her boys play tennis.